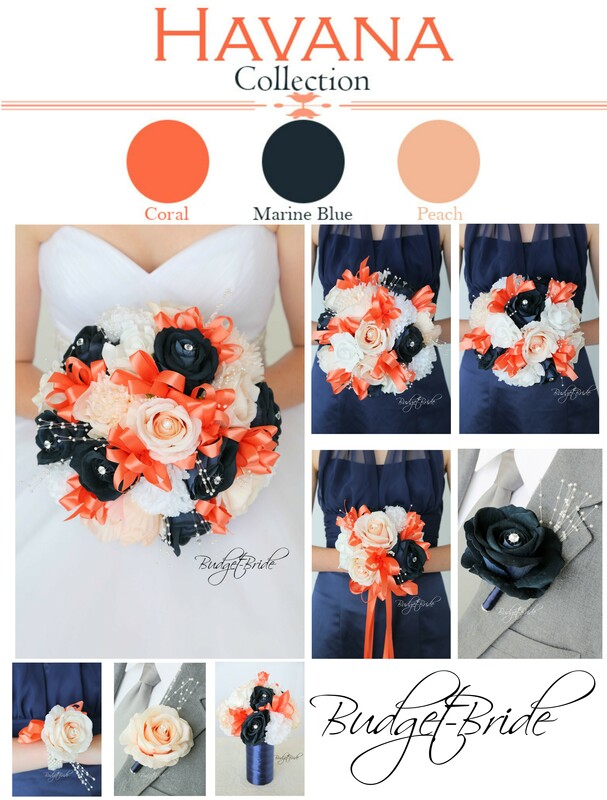 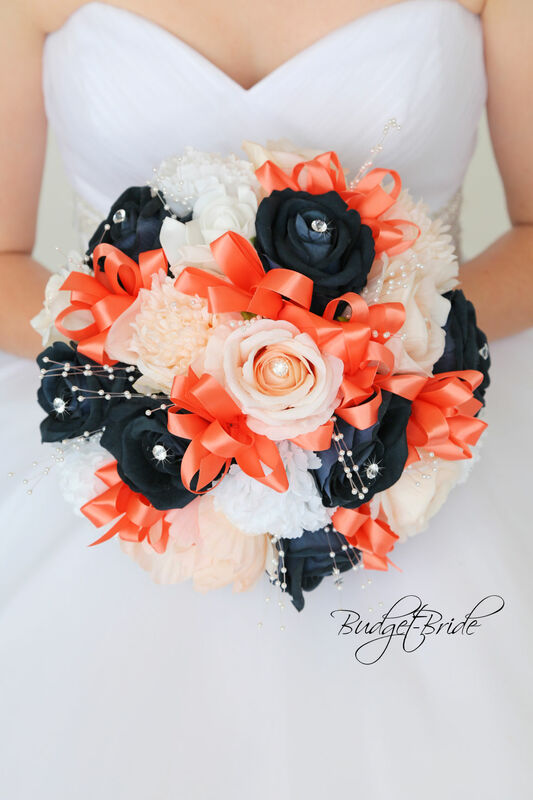 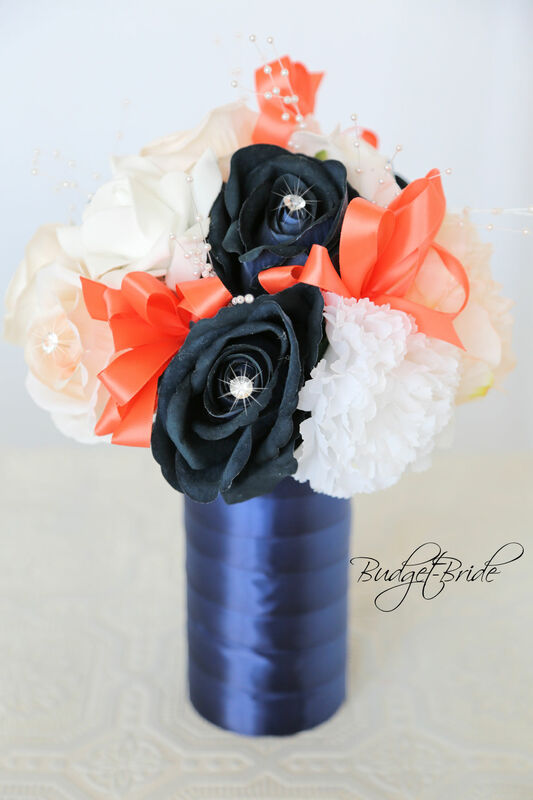 This matching bouquet is an 8 inch with a mixture of peach peonies, light peach and marine blue roses with diamond centers, white carnations, pearl sprays and accented with coral reef ribbon. 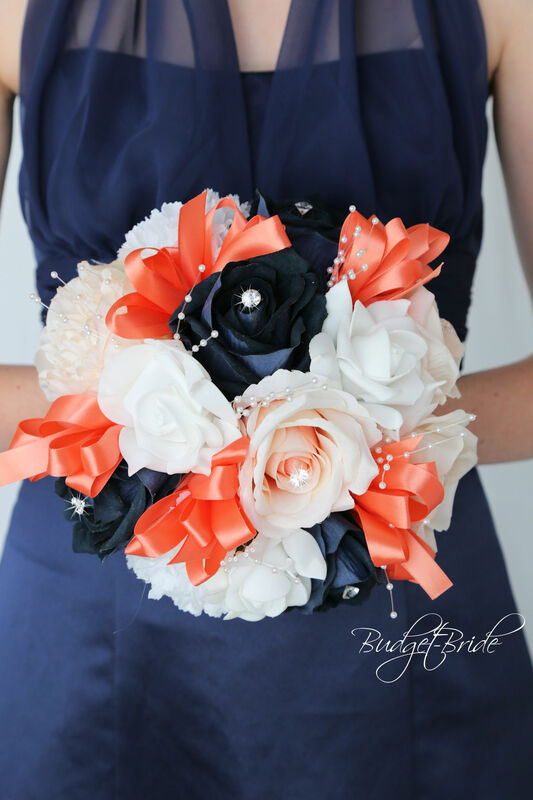 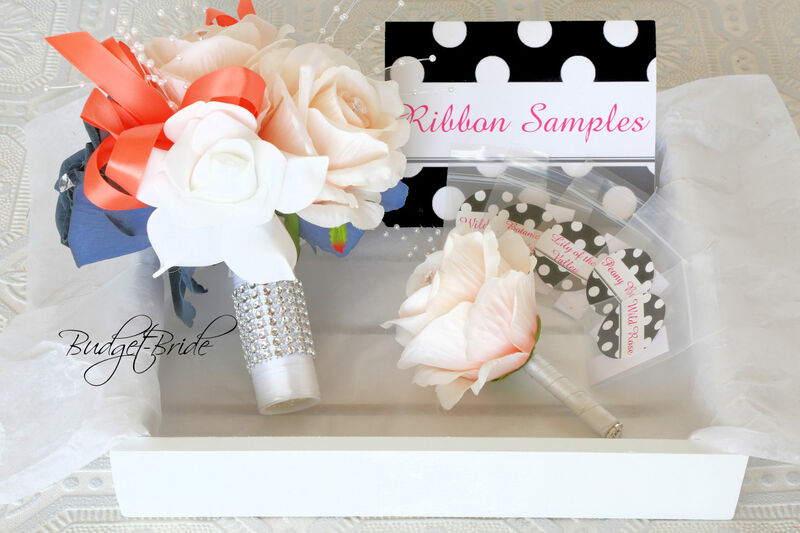 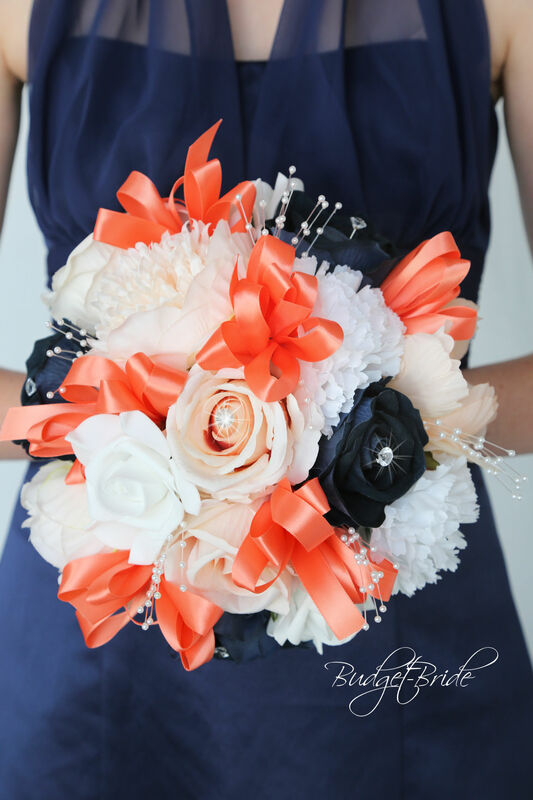 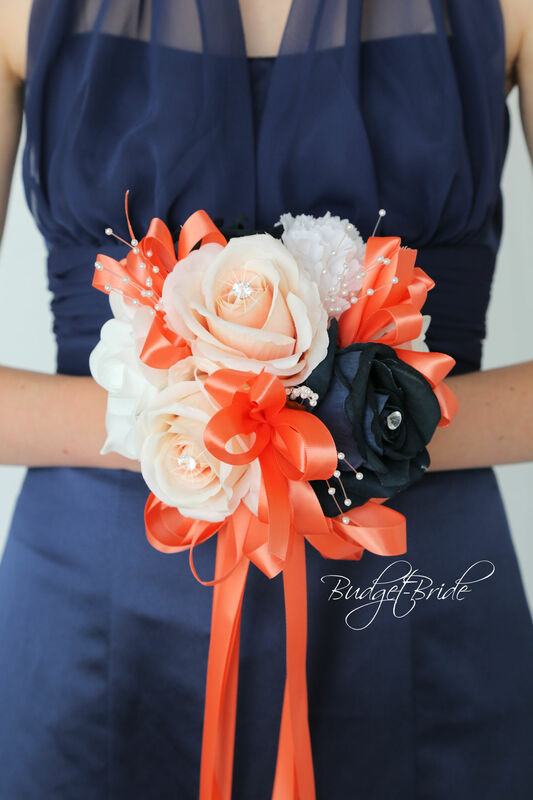 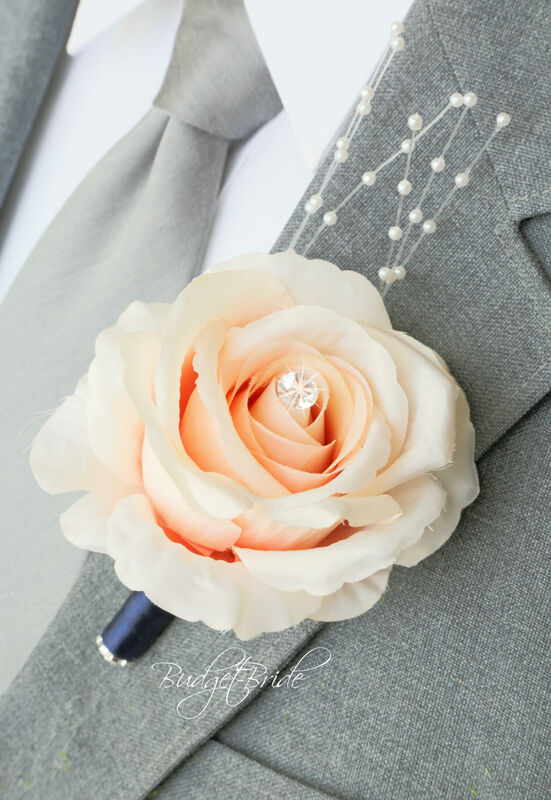 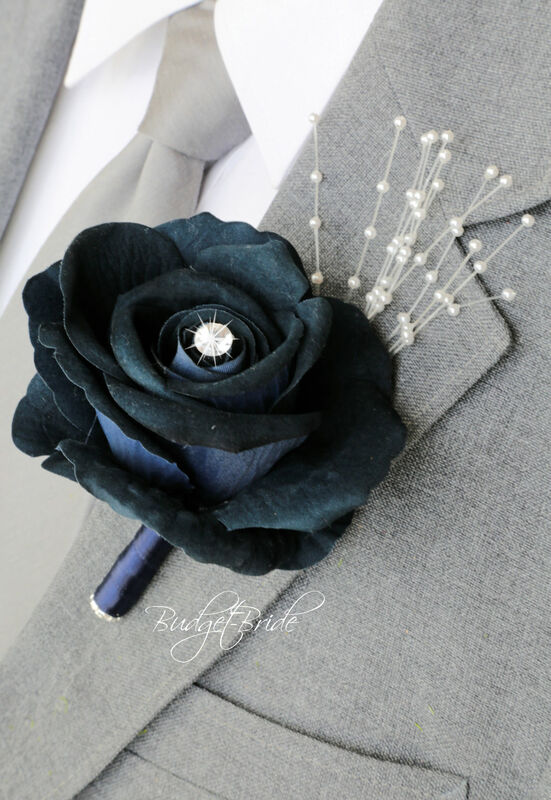 This matching bouquet is a 6 inch hand held bouquet with peach peonies, light peach and marine blue roses with diamond centers, white carnations, pearl sprays and accented with coral reef ribbon. 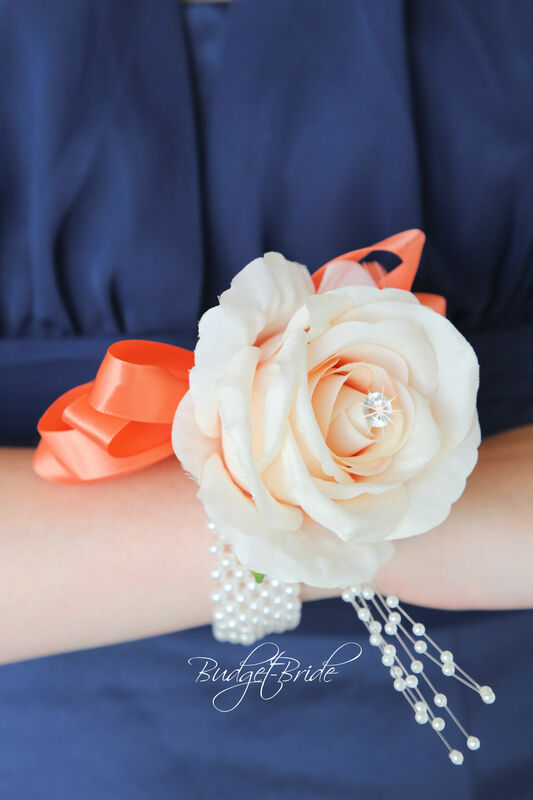 This is a matching bouquet approx 4 inches with a mixture of peach peonies, light peach and marine blue roses with diamond centers, white carnations, pearl sprays and accented with coral reef ribbon.